Most Catholics are familiar with the three vows taken by most religious of poverty, chastity and obedience. To these three, St. Benedict (whose feast we celebrated Wednesday), added a fourth for the Benedictine order, the vow of stability. Our summer seminarian who had considered joining the Benedictines at one time spoke to us today after Mass about this vow of stability and I have taken his observations and adopted them here. We vow to remain all our life with our local community. We live together, pray together, work together, relax together. We give up the temptation to move from place to place in search of an ideal situation. Ultimately there is no escape from oneself, and the idea that things would be better someplace else is usually an illusion. And when interpersonal conflicts arise, we have a great incentive to work things out and restore peace. This means learning the practices of love: acknowledging one’s own offensive behavior, giving up one’s preferences, forgiving. . It is a very profound insight to describe our constant search for a more ideal situation as a temptation and an illusion. The layers of extended family that once existed were stripped away by the migration to the suburbs and the seeming desire to get as far apart from each other as possible. Old city neighborhoods that for generations nourished ethnic groups and identities emptied out, and now, most neighborhoods, cities or suburban, are filled with people who barely know each other and who seldom stay long in one place anyway. The economy both feeds and reflects this instability. Gone are the days when most people worked for the same company or even in the same career all their life. Accepting a new job or promotion often means moving to a new city. Businesses often relocate to whole new areas of the country. Lasting professional relationships are threadbare as well as long-standing relationships between businesses and customers, tradesmen and clients. The American scene and culture has become largely ephemeral (i.e. passing and trendy). 1. Marriages – Spiritually everyone who enters into a marriage takes a vow of stability to be true and faithful to their spouse in good times and bad, in sickness and health, in riches or in poverty till death. And yet more than half of marriages fail to realize this vow. Many want their marriage to be ideal and if there is any ordeal, most want a new deal. And, frankly most who divorce and remarry are the most likely to divorce again. As the Benedictine statement above says, Ultimately there is no escape from oneself, and the idea that things would be better someplace else is usually an illusion. 2. People do this with faith too, often moving from faith to faith, or at least from parish to parish in search of a more perfect experience of church. And while some are actually following a path deeper into and toward the truth, most who church-hop are looking for that illusive community where the sermons are all good, the people friendly, the moral teachings affirm them, and the liturgy perfectly executed according to their liking. It is a kind of “designer church” phenomenon. And yet again, the problem is often as much within as without: Ultimately there is no escape from oneself, and the idea that things would be better someplace else is usually an illusion. 3. The older practice of buying a home, settling in a neighborhood and living their your whole life there is largely gone too. Most people own several homes in a lifetime and thus live in several different neighborhoods as they move about. Never mind that this means a lot of uprooting and harm to relationships. People who are just passing through and waiting to find a better home are thus less committed to improving their communities, schools, and Churches. Children too have relationships with schoolmates, and neighbor friends severed by all this mobility. There may at times be a real need for a larger home or a safer neighborhood, but even without these needs, most seem to have the goal to “upgrade” and the emphasis seems more on the bigger house than real relationships. 4. A strange phenomenon to me personally is how popular the idea of moving to Florida or to the south is among retirees. In so doing they usually leave behind all their friends, much of their family, their church, and all that is familiar. Why is this so popular, and does it also bespeak a kind of great divorce where family and obligations to friends and communities are seem more as burdens and part of the work that one retires from? Well, you get the point. We have very little stability and it effects how well we can hand on the faith, and transform our culture. Our lack of stability is not wholly our fault but we do cooperate to some extent with its contours. In the gospel for this coming Sunday Jesus counsels: Wherever you enter a house, stay there until you leave. In other words, settle down and don’t go from house to house looking for a better deal or a better meal. 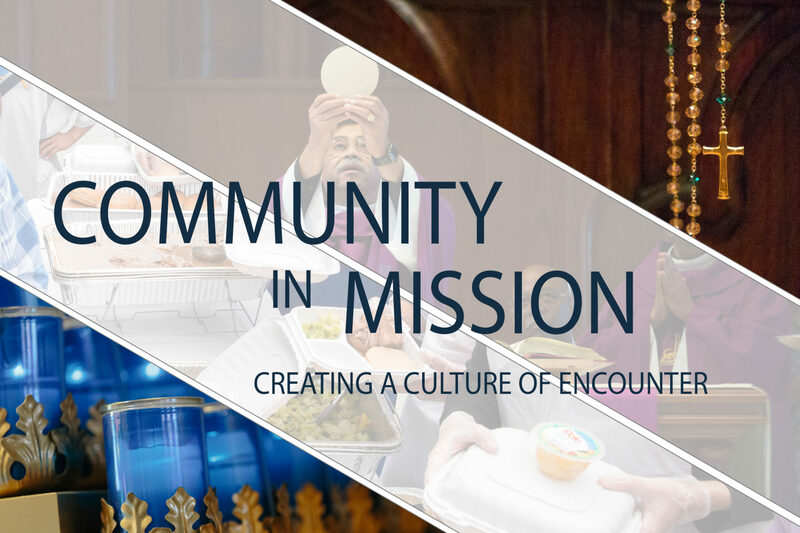 Pick a house and stay there, set down roots in the community where you minister, eat what is set before you and develop the deep relationships that are necessary for evangelization and the proclamation of the gospel. Stability, though difficult to find in our times is very important to cultivate wherever possible and to the extent possible. In particular, the gift to seek is the kind of stability that is content with what God has given and is not always restlessly seeking a more ideal setting. For again, as we have noted: Ultimately there is no escape from oneself, and the idea that things would be better someplace else is usually an illusion. Stability, an oft neglected virtue, and one to cultivate. A sad but true tale. Unfortunately it is most apparent in the USA, perhaps a legacy of the pioneering culture that developed here as part of the “New World” syndrome. Go West! seek your fortune, etc. It may have had its benefit in economic growth or perhaps individual progress with moving up in social class for some, rather than remaining stuck in the pattern of one’s birth situation. However it has been a big price to pay in terms of meaningful quality of life. As someone old enough to remember how “it used to be” I think the Benedictines made a good choice in adding that vow to their order. Are many of us lay people not at the mercy of employers in this regard? In circles where the maximization of business and profit are primary, what would be the reaction to this message? Where does stability fall for, say, the Acton Institute? I ask this not because I oppose the notion ot stability–I think local communities benefit greatly from generational stability. Alas, it is hard to find this quality even among many bishops, some of whom move from small diocese to large, sometimes as many as three times in a career. Interesting question. Economic man as an idea forces the need for trade off decisions. To achieve certain economic ends we have to make decisions/choices between competing outcomes. Man is not solely economic though he is also political, spiritual, cultural. Your question could lead down many paths. One is to discuss the responsibility of an employer to support stability in the family life of their employees toward the common good. But the employer must also insure that their firm thrives to insure employment to the people. At the same time the individual must make trade off decisions for themselves. When do I move my family for its best end and what is its best end? Both paths I think need to be guiding by the teachings of the Church so that the trade off decision economic man is forced to make is guided by God and the spiritual aspect of man. To achieve stability and gain those gifts will often require a sacrifice of greater wealth. This for me ties back a couple of days ago into the blog on having too much stuff. If man tries to be solely economic their life will be out of balance and away from the nature God intended. It is convenient to look at a situation through one lens and can be useful to understand the trade off decisions that humans have to make. This parsing down is never sufficent though to fully understand any situation. As you raise when is it better for the good of the Church as a whole for a bishop to stay in one diocese and when is it better for them to move? Stability has huge upsides as Msgr. Pope points out but it is not always the sole end. This poist lead me quickly to a lot of self examination. Why did I move my family for this job. Should we move to another house and how will this make our lives better on the whole? Thank you Msgr. Pope for another thoughtful teaching moment and thank you Todd for your interesting question. Could you please elaborate on your reference to the Acton Institute in the context of this particular topic. My impression of the Acton Institute, strictly from viewing its website a number of times, is that it does not reflect what I believe is traditional Catholic political/economic philosophy. It uses an apparent identification with the Church as a cover to promote libertarian political thinking, i.e. survival of the fittest and and a quasi feudal society. More power to the powerful and minimal consideration for the needy. Maybe that would represent an endorsement of stability by returning society to the days when a vast percentage of the population never left their birthplace because they could never get out of the poverty they were born into. . The Acton Institute is a redoubt of orthodox Catholic social teaching. They are not Darwinian or “feudal” in the slightest. Joseph, I would suggest that you read what they say before you make uninformed posts like this. Thank you for this post, I’ve craved stability all my life and now I’m fortunate to have some measure of it. I wonder though with the now common practice of shuffling priests from parish to parish every 7 years or so are we loosing that stability in our local communities? Isn’t the church at the heart of each locality and the rapid change of the pastor disruptive? This is a wonderful reflection. Like a sour grape, I often thought that stability was overrated (given my background of moving since I was a child). But marriage and faith has given us a new stability that we love … and our children have known stability. Of course, last year was extremely disruptive because we moved across the country, but this was more a journey of faith than anything else. I hope that this is the last move, that we’ll stay here always, but I also want to be open to ‘instability’ if that is God’s plan for us. I agree with the fundamental point, but would caution that stability does not equate to stasis, inaction, or willful acceptance of a situation that is not right. The Benedictine vow of stability comes into play after the individuals have understood the vocation God has asked of them, perhaps overcome fear, and taken action to find the community in which they commit to be stable. Stability makes sense as a choice only if the situation meets certain standards. I should seek stability in my parish church, for example, if it really is an expression of what Jesus wanted. If it is not that, however, then I think that I can legitimately consider a move elsewhere. It may not always be clearly definable which of the two is completely served by any specific incident of mobility, and it may be extremely rare that one is served to the total exclusion of the other however; business came into being to serve the communities, and the people in them with wider variety consumer goods, a more nutritiously varied and consistent supply of food, etc. Now it seems that business has become a social group of its own; witness the “corporate person”; that manages workers and consumers alike as if we are a part of its supply of mechanical supply and equipment. Moving us about as a construction company moves machinery in and out through various phases of a job. This is manifested in how entertainment, and other art, has replaced the grand masters of the past eras with the mass appeal which used to be only a (meaningful) part of what we enjoyed. Now true spirituality is going on the block next as shifting congregations fall for warm and fuzzy “messages” that make us feel good after a service but; not the sort of good feeling that includes the fulfillment of challenges taken on. As for Cynthia being an anomaly, perhaps this explains why her sharing here doesn’t stand out at first until I feel a need to go back and check her words so that I can find the quality that includes; but is not limited to; the sheer simplicity. There are others who have this sort of simple, but meaningful, content but I don’t know their life histories – nor am I interested in prying by hinting. My priest is fond of Yogism. One of his favorites, which is very appropriate here is: wherever you go, there you are. On point 4 regarding retired people, I will never understand that either. I know so many retired people who move so far away from their children and grandchildren. Honestly, I think that some of them move away on purpose so they won’t feel a need to help out with their grandchildren. I’ve actually heard some of them say “I’m done” with that, referring to that whole raising-children nonsense. Sad. Is it “done that” or the attraction of a climate that won’t aggravate your arthritis and a place where the taxes won’t eat your savings? Never mind. It’s easier to condemn than to seek to understand. The snide remarks about the Acton In stitute underscore the point. To be fair, the younger generation often chooses to move away too, thinking nothing of putting Ma in a home when the day comes. Stability is a great gift for those who are able to find it and have the insight to hold on to it. #2–Church hopping! As a home schooling mother, I see this among families who home school all the time. Our parish has had its ups and downs, and several times I was tempted to change parishes. Two things helped me to stay put, and I am sorry to say that this order is not reversed: 1) my dislike of driving in northern Virginia with its congestion, poor roads, and long traffic lights; and 2) the realization that the church is my connection to Jesus, who is present in the tabernacle that is two miles from our home, and all other things are of secondary importance. It would be great to be subject to God and to go where and do what He desires and to stay in His house at the end of the work day and talk to Him about how the day went, the challenges, and so on, and make plans for the next day. True for religious and layman alike. Msgr. Pope, I find this post to be especially prophetic today in light of the Dark Knight Rises theater massacre. Instability, in my opinion, is the root of the problem in most of these assailants’ lives. I wrote a blog post on the topic (including excerpts from your reflection) here: http://hallelujahismysong.blogspot.com/2012/07/instability.html?spref=fb God bless you and your ministry! Thank you for your leadership and continued inspiration! I spent some time in Benedictine spirituality. From that stay, I must add if not already implied in this post, the Benedictine vow must be taken (studied & internalized) in the context of St Benedict’s Rule of the monastery as “the school of the Lord’s service.” The nature of this school is indeed explained in the aforesaid Rule of St Benedict. I would point to the community/family that adopts this spiritual school from the obedience to the abbot (father) and faithful observance of the injunctions of obedience and the several steps of humility that leads to true love of God. Although I am myself a practitioner of stability (35 years in the same marriage and the same apartment, and as long in each employment as the employer allows), I would never have met my wife if she had not been a wanderer. The United States would remain entirely in Native hands were it not for the wanderers who came her in search of a better material and spiritual life, and it is hardly surprising that their descendants still wander. Finally, the life of Christ was certainly not one of stability, or he would have remained in Nazareth as a carpenter.